The EPA has compiled a number of great resources for teachers, students and kids of all ages! Here are a few of our favorite. Let us know about your favorite recycling education resources. 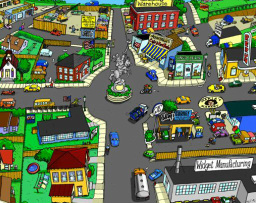 Visit (click on) Recycle City and find out what citizens are doing right to save resources, energy and water...and what nearby Dumptown is doing wrong. Use this resource to develop lesson plans, incorporate a range of activities into various subject areas throughout the school year. A site for younger kids to learn about composting, worm bins and the biology of earthworms. What's on the menu at the Worm Deli? En Español tambien! A comprehensive guide for teachers interested in guiding students' research projects on composting. The book was selected by the National Science Teachers Association to be included in 'Recommends', a collection of the best science education books. Want to take NASA's Space Place and Climate Kids’ fun activities and projects with you even if you don’t have a computer? Want to share them with your kids, classroom, after-school program, or summer camp? Now it's easier than ever. We’ve got print-ready PDFs of all of the activities and crafts. Got Gadgets? At What Cost? Recycling Starts with You! is an educational program produced by the American Forest & Paper Association and Scholastic. 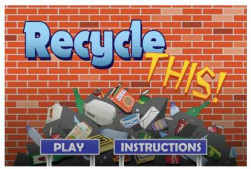 Materials include math, science, and language arts lessons about paper recycling for third- through sixth-grade students. Also includes the downloadable classroom poster featured left. With this fun game, kids use an "airburst tool" to send items into the right bin and score points. Recycle This! 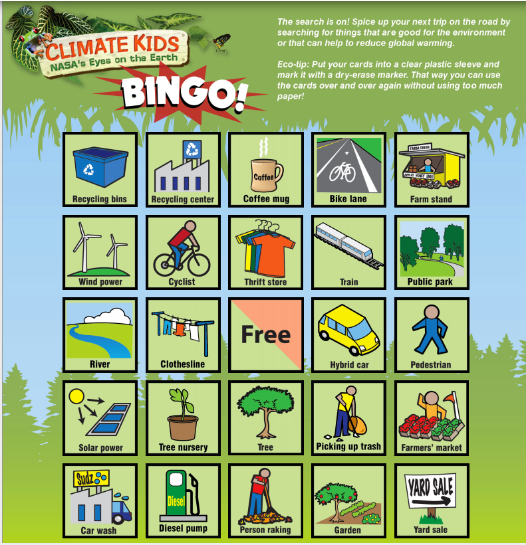 is part of NASA's Climate Kids website that contains many more educational games and lessons. Successful implementation of waste reduction, reuse, recycling and composting in schools brings many rewards, including potential cost savings for tight school budgets. Case studies for the eight participating schools have been developed and posted on Northeast Recycling Council's Waste Reduction, Recycling, & Composting in Schools webpage. Twelve "Tip Sheets" on school waste reduction, reuse, recycling, and composting, including Paper Use Reduction in Schools and Food Service/Cafeteria Waste Reduction are posted, along with Power Point presentations and other tools. ReCommunity provides resources for recycling education including how materials collected at the curb are sorted at a materials processing facility and remade into new products.